this is the centre section of a Bristol f2b Fighter, with Lockheed Martin Flight Simulator software, and working controls and instruments. Lewis guns have simulated firing noise. 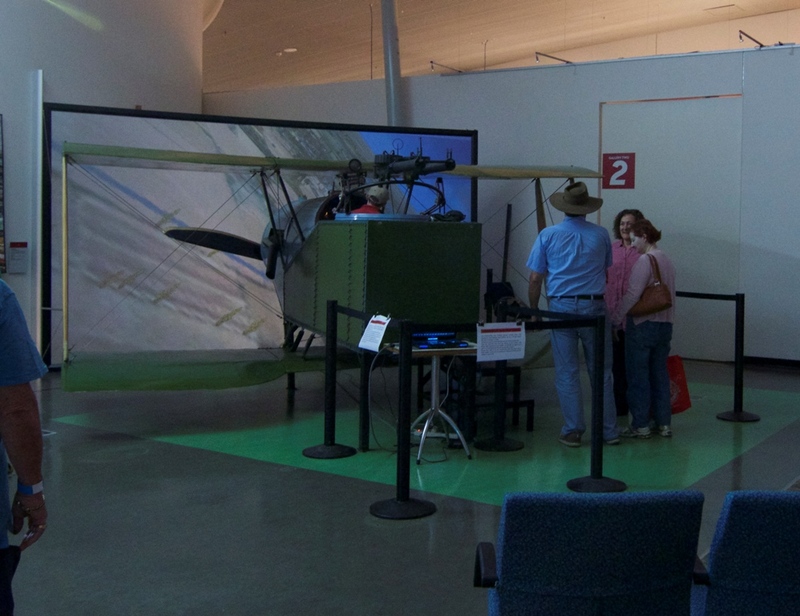 The Simulator seems to be popular with museum patrons. 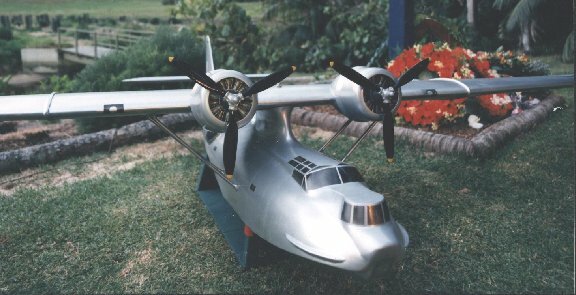 1/10 Empire Flying Boat Model in Pancho's Mexican Restaurant, Mudgeeraba, Queensland. 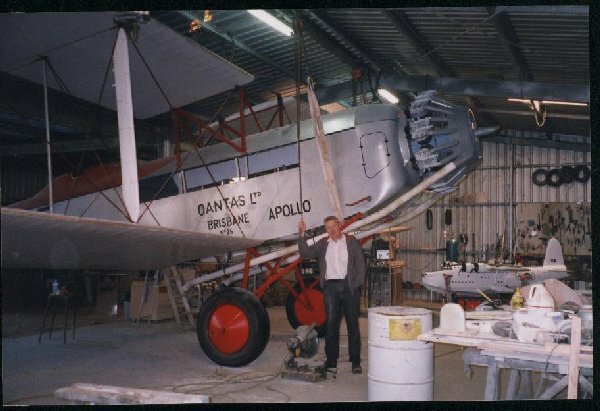 The original had a 500hp Bristol Jupiter 9 cylinder radial engine which I have recreated in fibreglass for this replica. 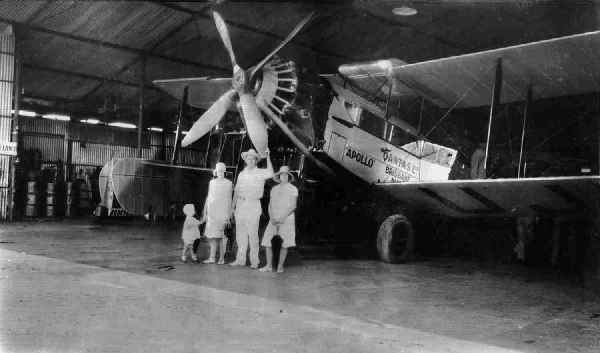 The aircraft has seating for 7 passengers and a pilot. Construction is mainly fibreglass over a welded steel tube framework. Boeing 747 makes an interesting comparison with the DH61. 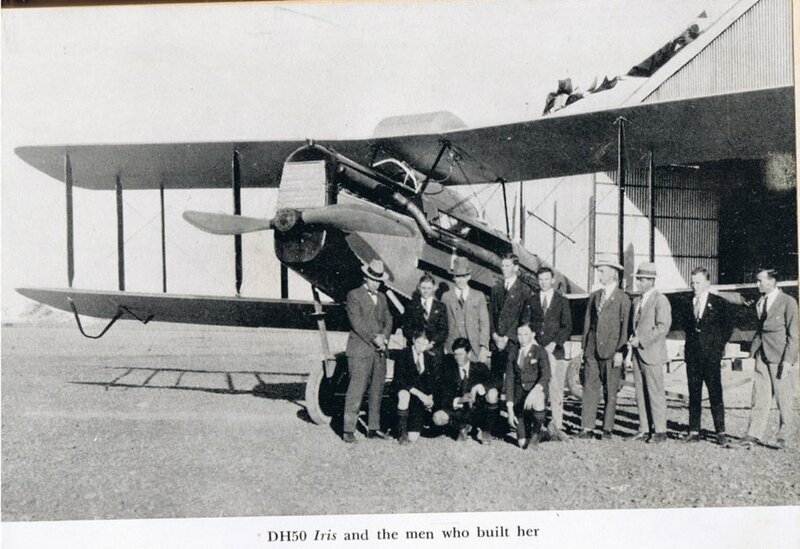 The DH61 project was kindly sponsored by Rob Tolmie. 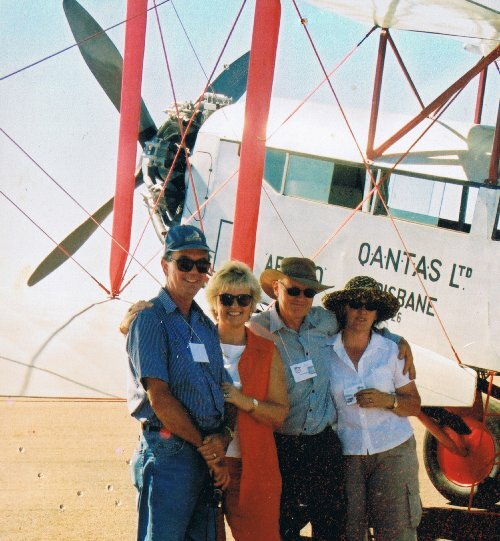 Here we are, Trish and I (rt), with Rob and Caroline. 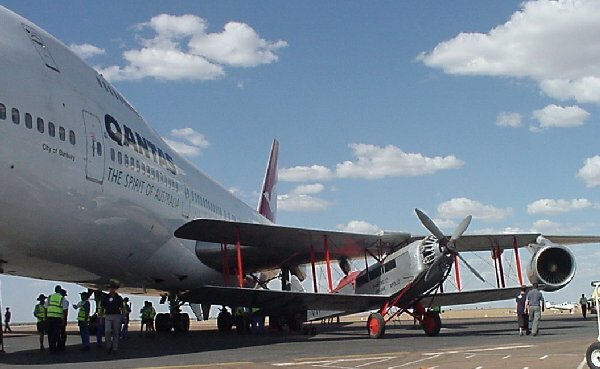 The following models have been made for the QANTAS Founders' Museum at Longreach. All are 1/5 scale. 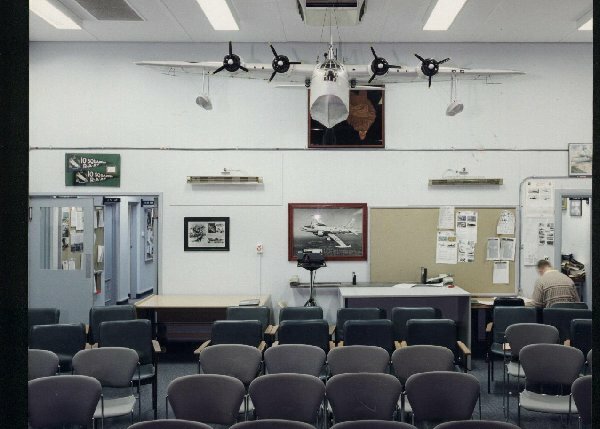 They feature in a display called the "Plane Spotting Display" where the models move around a track in the ceiling with the propellers rotating. Below are pictures of the models which are suspended on the moving track at the museum. 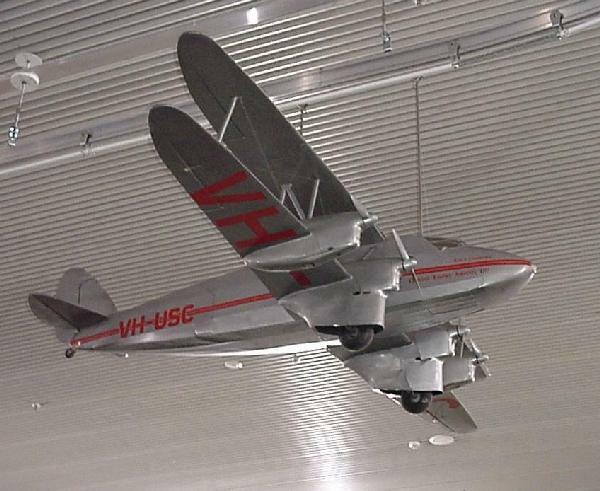 Another model that is part of the 'Plane Spotting' Display at the QANTAS Founders' Museum is the DH 86 model made by Greg Hardcastle and Peter Reichts. 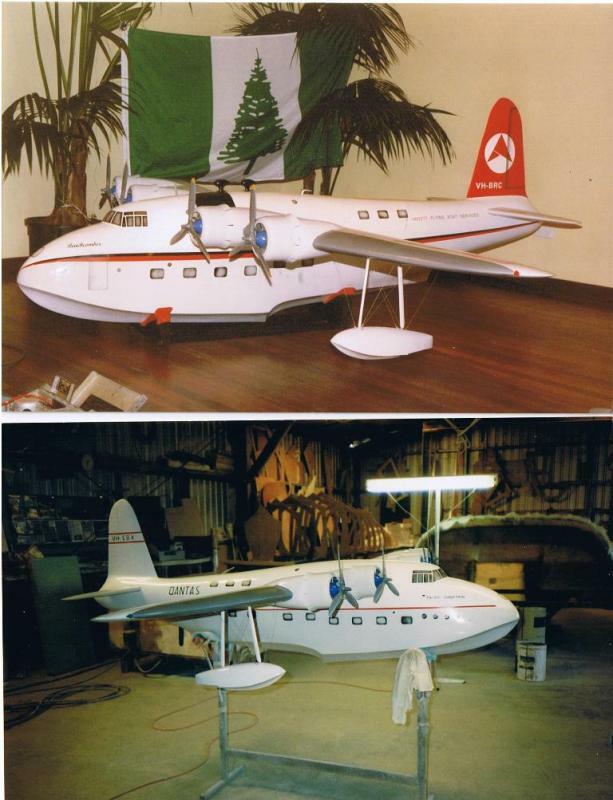 This excellent model has actually flown, and was refurbished for this display. 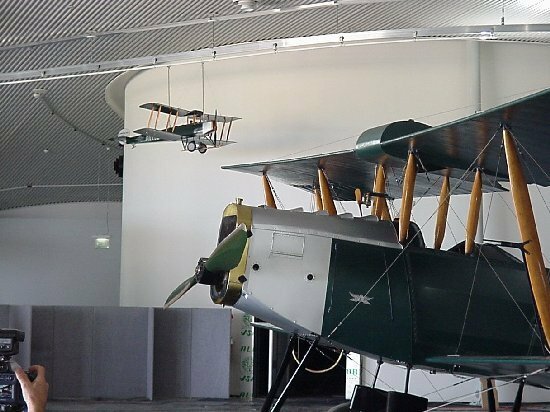 Another display for the new museum is the Propeller Building Display , based on some very detailed large-format photographs from 1918 showing the process of making the big wooden propellers used on World War 1 aircraft. A propeller being made in the jig. 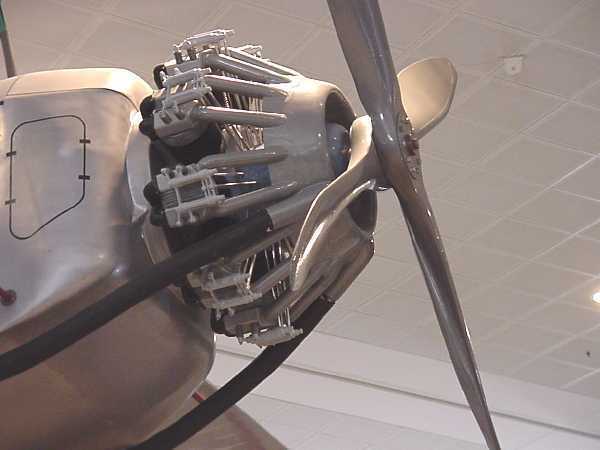 The Avro 504 model with working controls which can be manipulated by a stick control outside the cabinet. 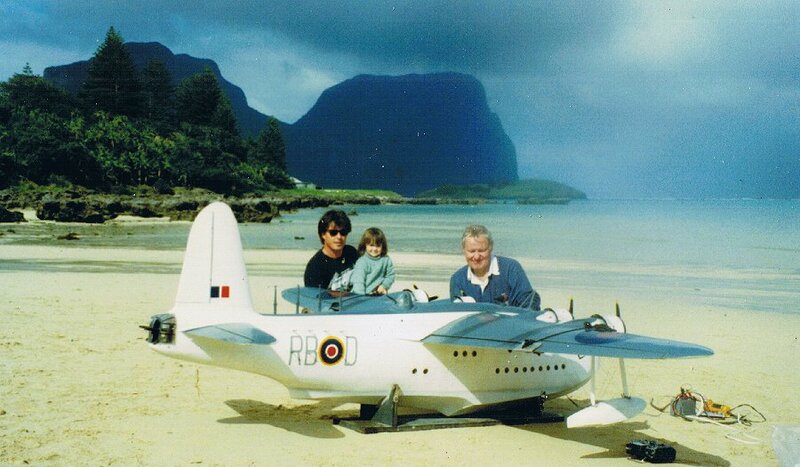 For the Lord Howe Island Historical Society I made a 1/10 Short Sandringham "Beachcomber"/"Pacific Chieftain" (painted as Beachcomber on one side and Pacific Chieftain on the other). 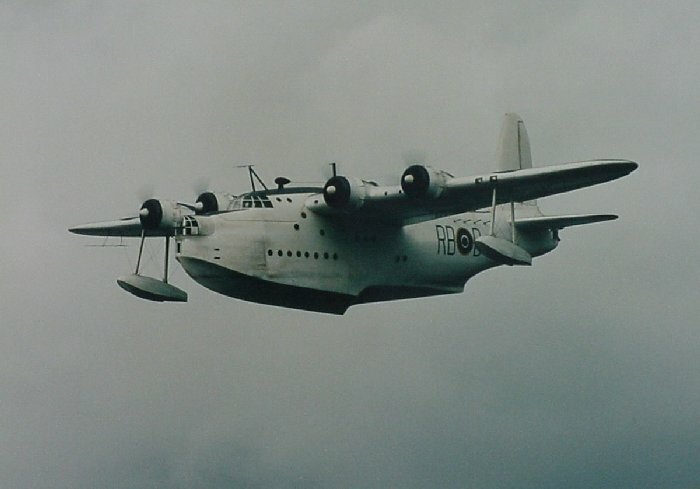 as part of their celebration of their long history with flying boats. A picture of every Empire Boat! 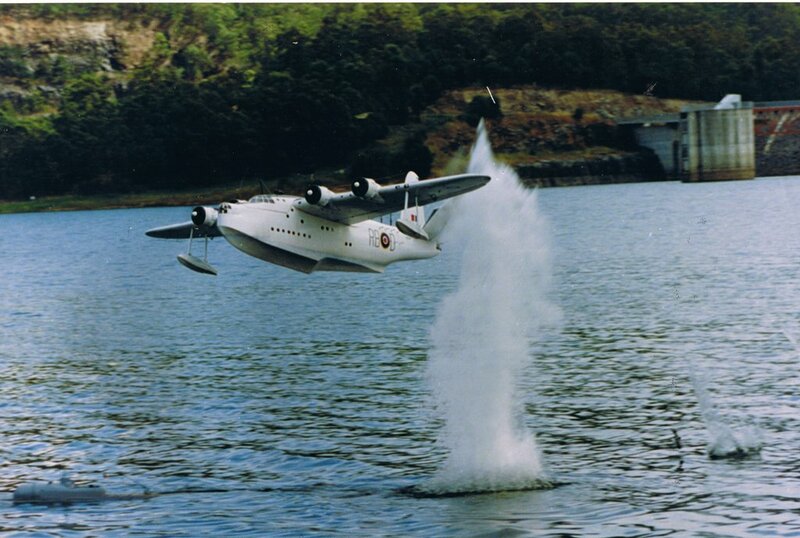 .Quicktime movie of Sunderland taking off. 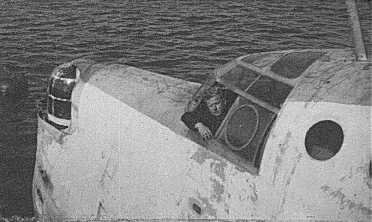 With a video camera inside the model looking out under the wing through the float and under the engines. To view this movie you need to have Quicktime Player. It's a free download. Geoff (r) with David Boddington, magazine editor legend. Jan Hermkens drew the plans for this Sunderland. 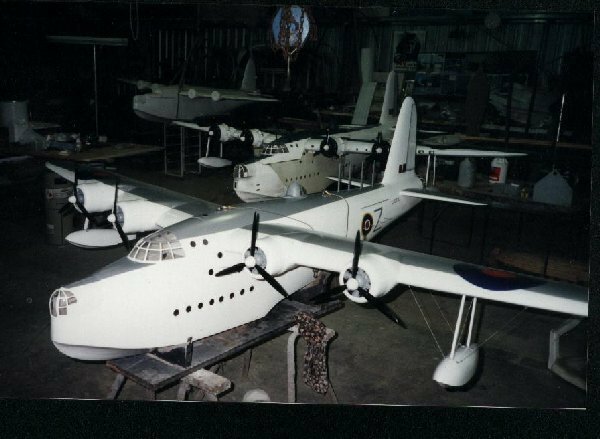 I built a plywood Sunderland from his plan, and made moulds from that. 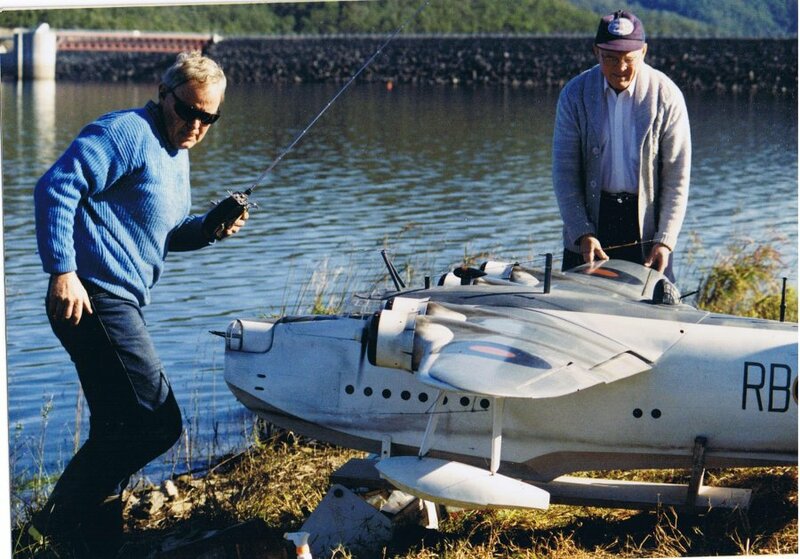 Jan, from Netherlands, is one of the great scale model builders and fliers of our time. You can visit his website at http://www.janhermkens.nl/ . 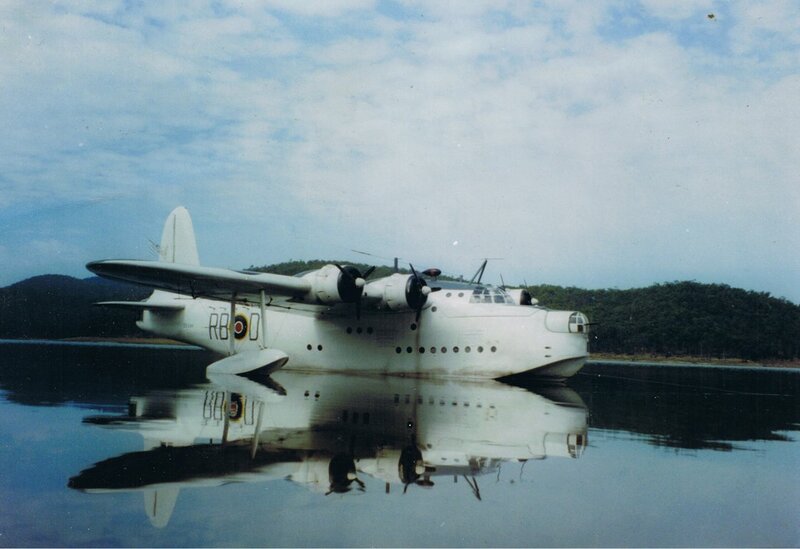 His Sunderland won scale model competitions in its day, flying from the land with its beaching gear. Here are some of his other winning models. 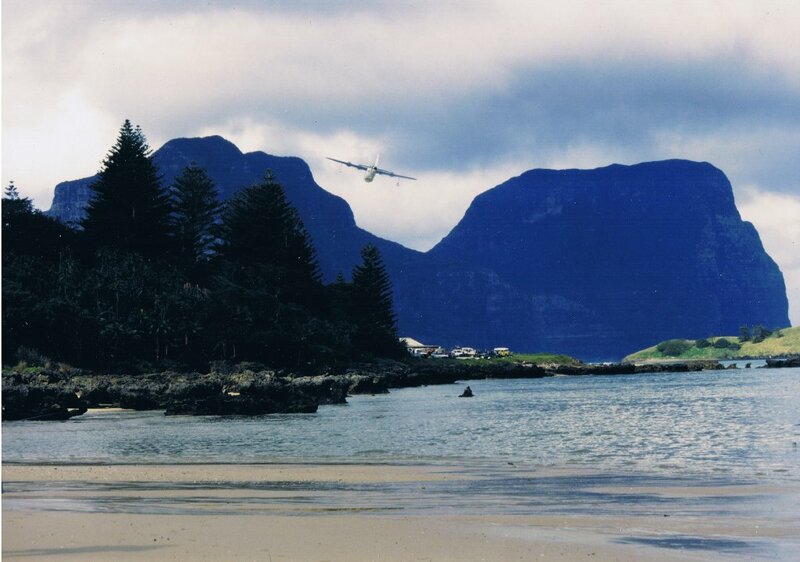 taxying at Lord Howe Island. 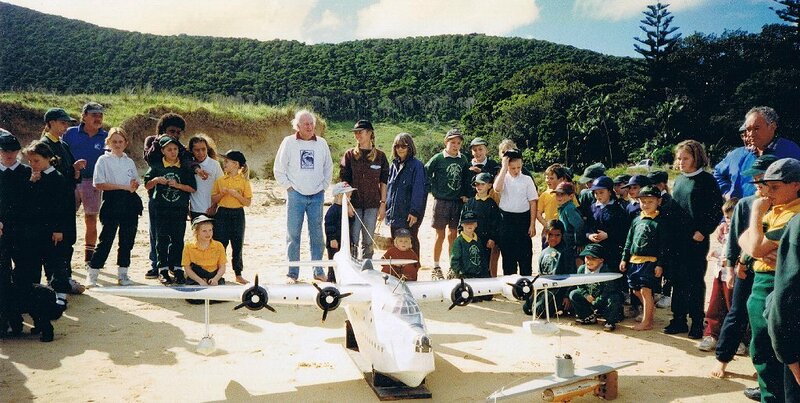 At Lord Howe we flew the Sunderland for the local residents and schoolkids who were allowed out of school to watch. Radio: JR X3810 8 channel with 11 servos with control to the following: Rudder, Elevator, Ailerons, Rudder, Throttles, Flaps, Bomb drop. 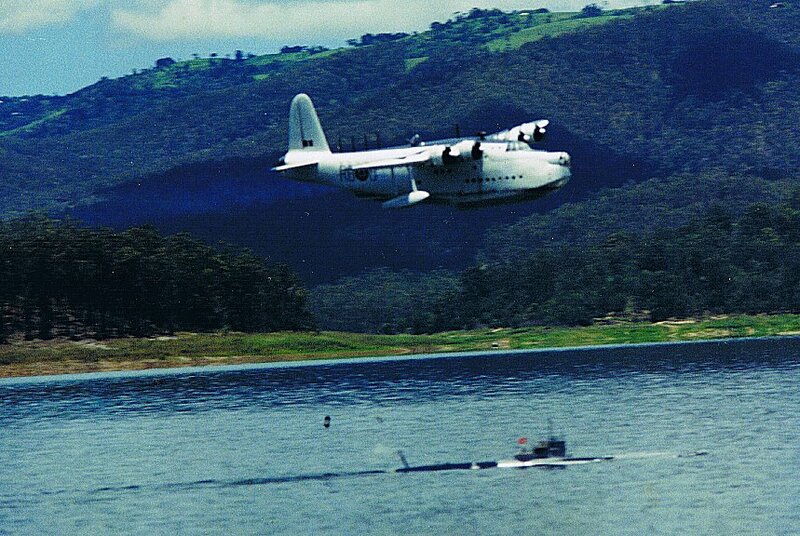 The rudder is mixed with port or starboard throttles for taxiing on the water via a mixing switch. 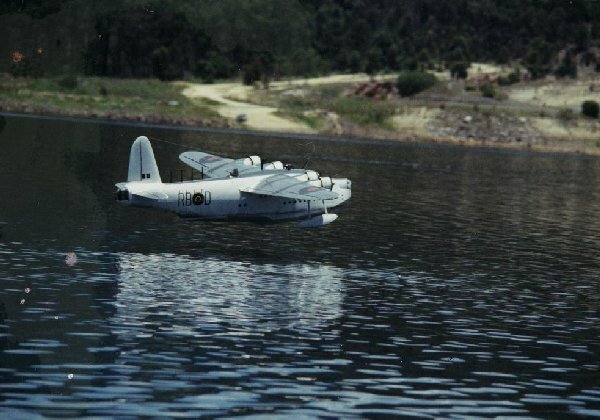 The static models of the Sunderland, (four to date), are on display in four "Trader Duke's" restaurants in Southern Queensland, at Maroochydore, Caboolture, Coomera, and Southport. Sunderland model depth charging a huge Submarine Model "Surcouf" by Patrick Drake. 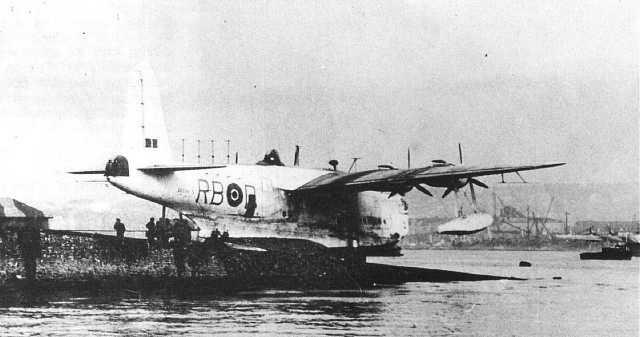 The powerful plume from the Depth Charge has destroyed the portside tailplane of the Sunderland. 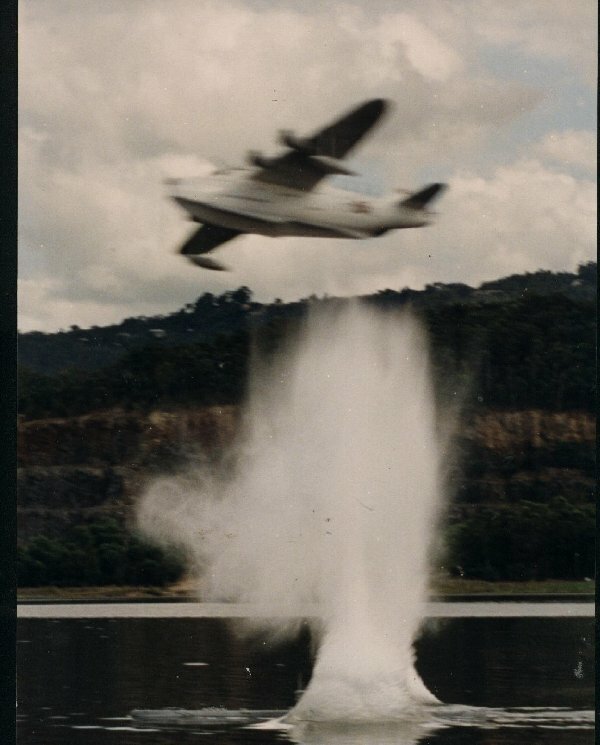 Note the tailplane blown off by the depth carge. The model continued to fly and landed normally. 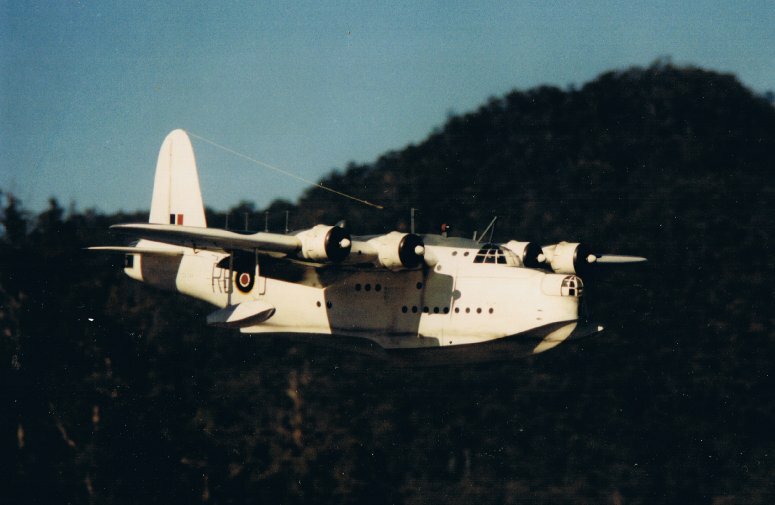 Considering that the model is flying at approximately 50 knots, the photographer did rather well to capture the moment that the tailplane was deflected. 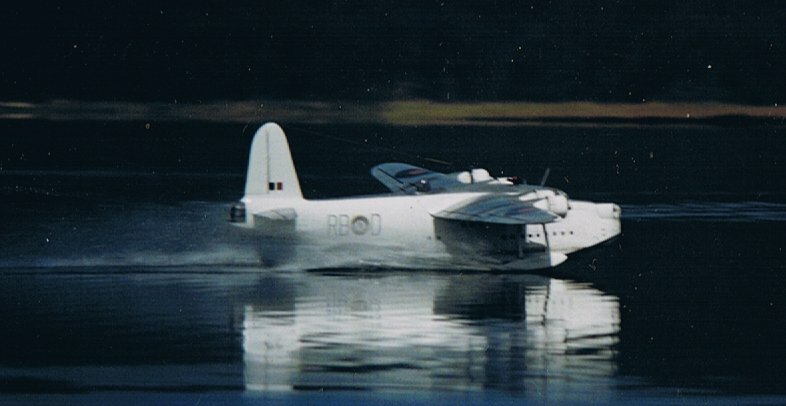 Another shot of the Sunderland at speed, Depth Charging "Surcouf". And another, this time bombing Patrick's U-Boat . Fighting back! 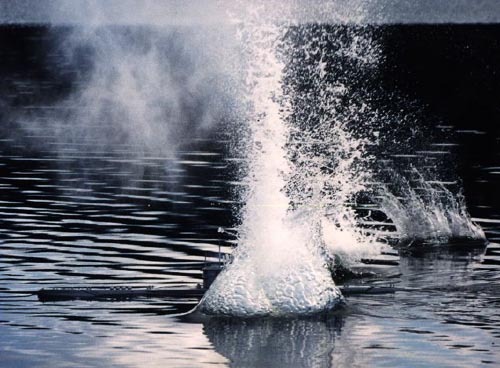 Surcouf fires its' guns! 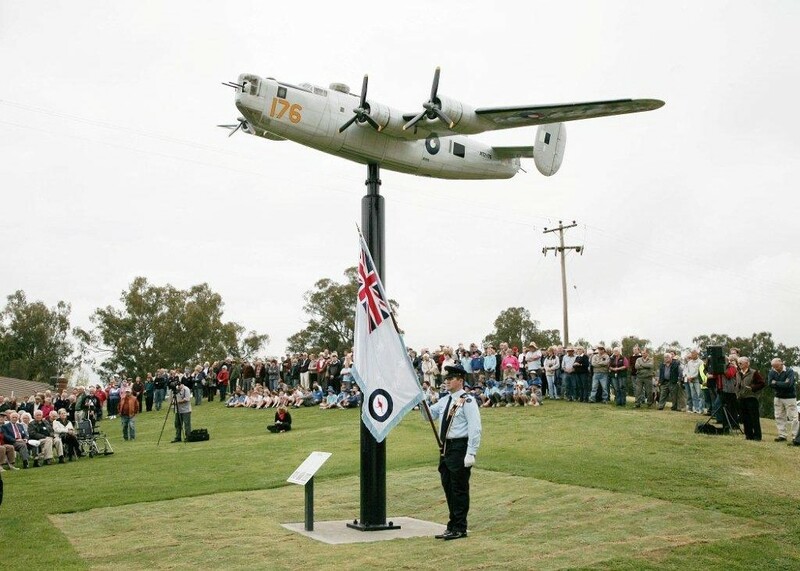 The Sunderland model, after five years flying, was donated to 10 Squadron at Edinburgh RAAF base in S.A. It now hangs in the Briefing room. 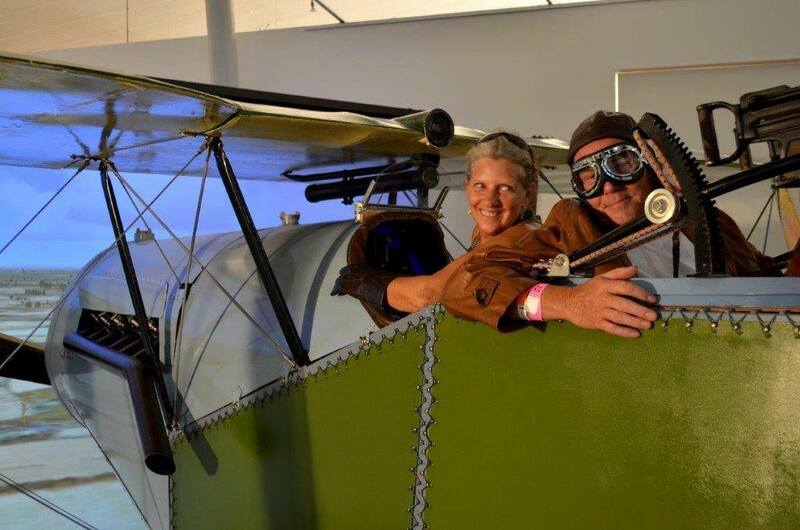 For the Bert Hinkler Hall of Aviation also, this refurbished replica of Hinkler's Avro Avian with ADC Cirrus engine. 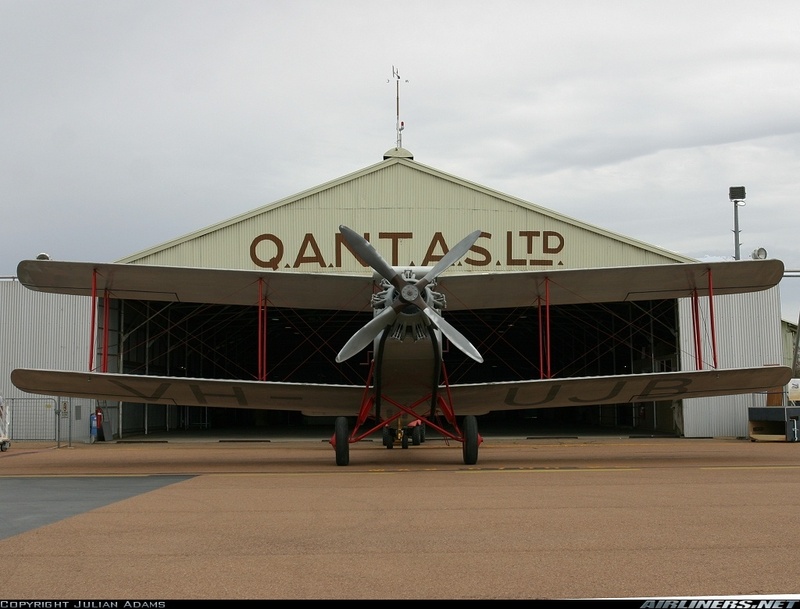 Now started for QANTAS FOUNDERS OUTBACK MUSEUM...a DH50 replica. Making the engine from fibreglass. It represents an Armstrong Siddley Puma. 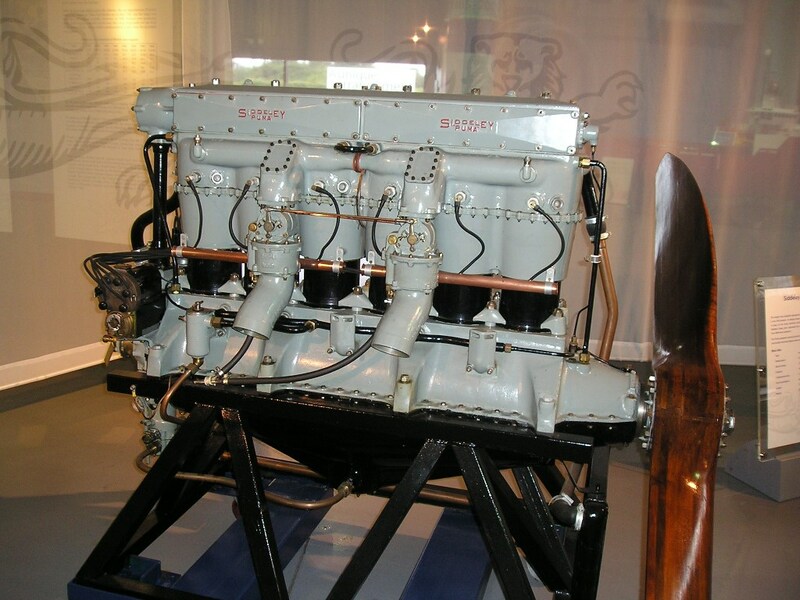 This is the original engine in UK which I hope to emulate.